Can’t say I’ve tried a craft beer from all 50 states just yet, but I can most certainly say I have not tried any from Alaska. Well, that ends now. Coming in May, we will be able to try some award-winning beer from the Last Frontier, as beer from the Alaskan Brewing Company will be on tap and on the shelves in Missouri beginning in mid-May. Alaskan is partnering with distributors Grey Eagle, Krey, Lohr, and H.W. Herrell to distribute beer throughout St. Louis and the surrounding area. The move into Missouri marks Alaskan’s 21st state, and its first new state this year. Starting in mid-May, beer fans in Missouri will notice year-round packages of Alaskan Amber, White, Husky IPA, Hopothermia Double IPA, and the Frontier Variety Pack, as well as new year-round products Kolsch Ale and SMaSH Galaxy Double IPA. Alaskan’s award-winning signature beer, Smoked Porter, will also be introduced to the market upon its release later this fall. Distribution will begin in the St. Louis area and eventually move throughout the state. 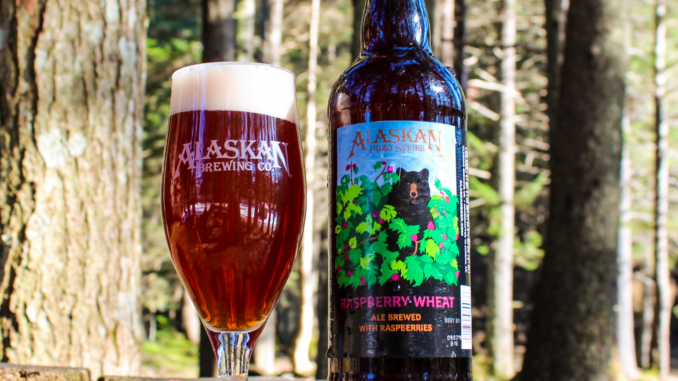 Alaskan Brewing Co. was founded in Juneau, Alaska, in 1986 by Marcy and Geoff Larson. Then 28, they solicited help from about 80 investors to form the country’s 67th independent brewery at the time, the first since prohibition in Juneau. Though founded in 1986, its history reaches back to the Gold Rush Era, from which many recipes draw inspiration.